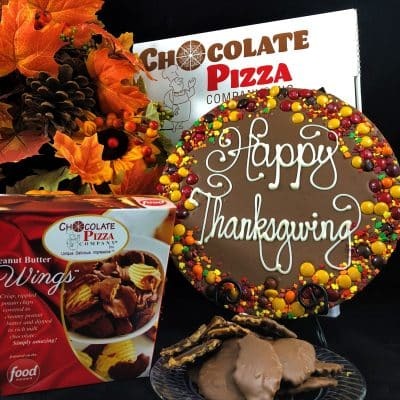 Thanksgiving Day just got sweeter. 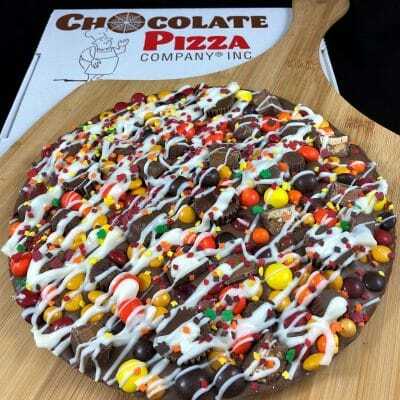 Add a Chocolate Pizza to the Thanksgiving dinner menu and your guests will probably start with dessert. 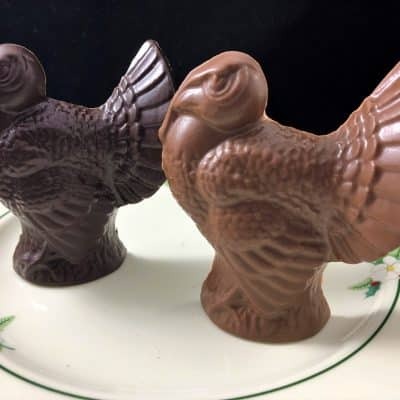 On a holiday that celebrates food and family, we think chocolate should be part of every table. 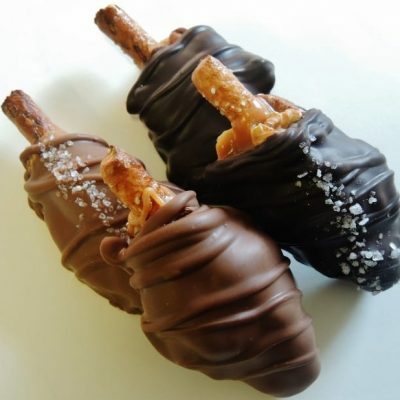 The Caramel and Nuts Drumstick makes a fun place-setting since what is more appropriate than a Drumstick on Thanksgiving. 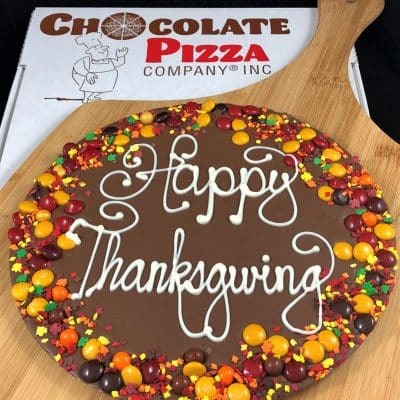 Skip grandma’s pumpkin pie if you have a Chocolate Pizza on the dessert buffet – rich milk chocolate blended with homemade English toffee trimmed in the beautiful colors of autumn and hand-decorated with a greeting of gratitude. 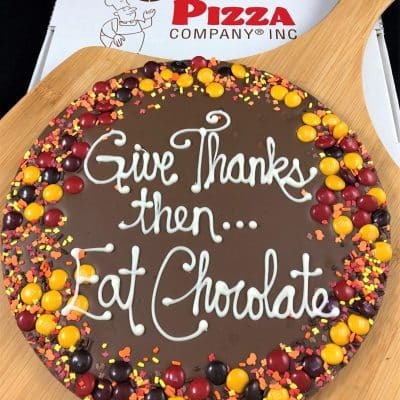 “Give Thanks – Then Eat Chocolate” is one of our favorites. 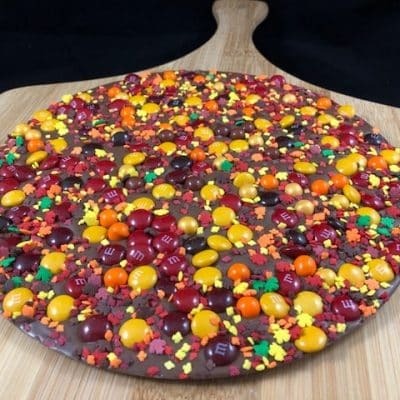 The Chocolate Pizza in Autumn Colors is one that everyone will notice and want to taste. 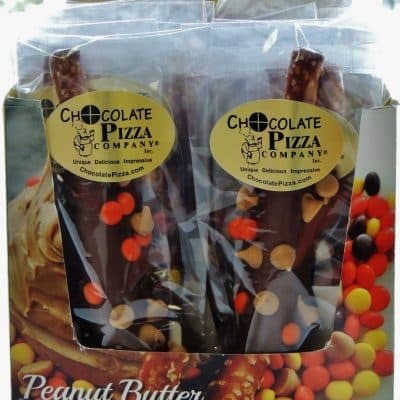 Orange, brown, yellow and red chocolate candies captures all the colors of fall. 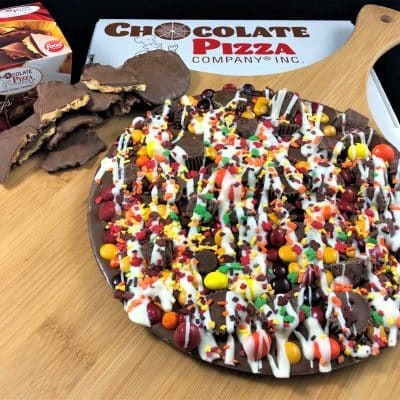 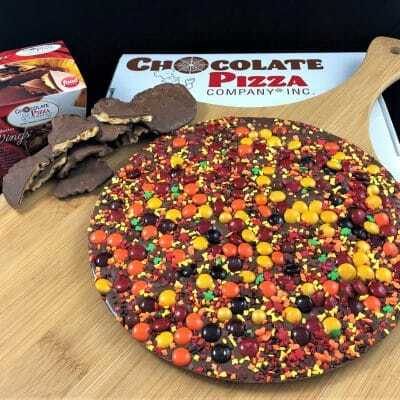 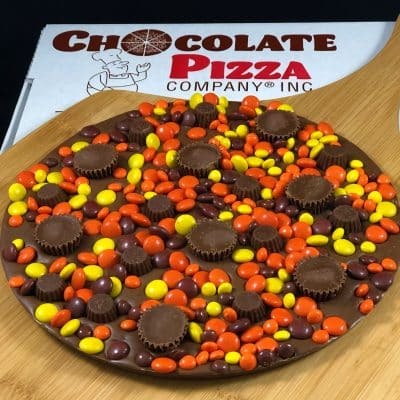 You don’t have to go over the river and through the woods to get one of these Chocolate Pizzas to grandmother’s house – you’re just a click away!